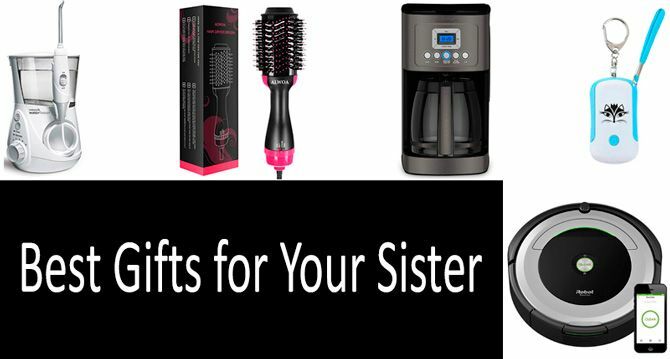 TOP-27 best gifts for sisters in 2019 from $10 to $450 | Only valuable gifts! In this guide, you will learn about 27 gift ideas for your sister. Whether your sister is into food, fitness or relaxation, I guarantee that this list is sure to provide you with great gift ideas for any occasion. This guide covers various products which are conveniently divided into categories depending on things your sister may be into, although the entire list is packed with great ideas so you can pick the best product. There are items listed from all price ranges depending on the occasion and your budget. You can find products of various application ranging from $10 all the way to $450. If you need to make up with your sister or just give a nice present, choose an option within the price range of about $10. A gift for some $30-$50 will serve a more practical purpose while products at a price of $100 and more would be a great choice for her birthday! An exercise machine, sauna suit or a special-purpose headwear would be great for girls who are crazy about sports. All ladies care about their appearance, which is why presenting her a thing like a brush increasing hair volume, oil diffuser or a hi-tech head and eye massager would be wise on your part. If your sister is a coffee enthusiast, gourmand or just enjoying cooking, there is a number of options for her including a yogurt and popcorn makers. Security devices and products designed to ensure comfortable sleep are something she will definitely appreciate as a true demonstration of care. 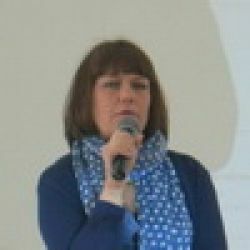 While products for home are something that will please almost any woman. If your sister is into exercise and fitness, why not get her very own exercise machine. She is sure to appreciate this fitness machine, which is built with solid steel and comfortable padding with adjustable leg positions for a deeper stretch. The nylon wheels on the machine make stretching easy and smooth, and the adjustable backrest provides comfort while working out. And it's affordable for a workout machine! As my sister is dreaming about losing weight, I have chosen this item as a birthday gift for her. What she felt was ineffable joy! Apart from being stylish, this thing helps to burn calories due to the sauna effect which makes her sweat a lot. The zipper closure in the front and the adjustable waistband makes it easy to take this waist-trainer on and off. You also have complete control over how tight you would like the suit to be. If your sister is the adventurous type, this multi-purpose headwear will be perfect for a long mountain hike. The material is made from special material designed to cool 30 degrees below body temperature and provides protection from dust and debris. Simply wet the headband, wring it out and you can wear it 12 different ways to keep cool while playing sports, hiking or exercising. I use my Fitbit every day to track my steps and monitor my sleeping habits. This version of the fitness watch syncs with your cell phone to track your heart rate, steps, stairs climbed, calories burned and can also show you text and calendar notifications. You can track your sleeping habits: how long you slept comfortably and even the number of times you woke up in the middle of the night. Let your sister unwind with the gift of a high-pressure hot shower with filtered water. This replaceable shower fixture reduces chlorine levels and traps heavy metals like lead, mercury and nickel. The purified water helps soften hard water and relieves dry, itchy skin. It's easy to install, and you can start seeing differences in how healthy your skin looks in just one week. My sister loves essential oils for many ailments and occasions. Any essential oil lover would appreciate a new diffuser for aromatherapy. The ultrasonic technology which vibrates the water and essential oils to create a mist. There are 7 different LED colors with a dark and light function which allows you to also use the diffuser as a night light. It is the perfect size to put on a bedside stand. If your sister loves styling her hair then a combination hair dryer, volumizer hair brush is the perfect gift. This type of salon-style brush allows for maximum control by blow hot air on the hair as it curls and brushes. The brush bristles help to prevent tangles and frizz and it can also be used to straighten the hair if that is the style you are going for. Give your sister the gift of maximum relaxation with this head and eye massaging helmet. It may look a little like a space helmet but this massaging device reaches your eyes, temples and the back of your neck, for a complete 360-degree head massage that is sure to relax. The helmet is cordless and portable and uses one lithium ion battery. It is a bit pricier so it is a good gift for a special occasion. I gave my sister a shiatsu foot massager last year and she has not stopped talking about it! This foot massager provides acupressure with air compression massage. You can customize the settings on the massager and there is also a heating element to use on colder evenings. Though it is a corded device, it is portable and can be used on the couch or while sitting at an at home desk. A Waterpik is a great alternative for floss and helps to keep your teeth and gums healthy. This device comes with seven different tips for a variety of ways to clean your teeth. There is a water on/off switch on the handle along with an LED display. It is the first in its class to be approved by the American Dental Association. If you have a younger sister who is into colorful hair, this product is the perfect gift! This affordable set of colorful chalk pens will allow your sister to temporarily color her hair in a variety of different colors. The gift box includes five regular colors and five metallic colors. It is easy to apply and washes out easily too. Any gourmand would love to be able to make their own yogurt, though the idea can seem intimidating. This electronic yogurt maker can make 50 ounces of yogurt at a time and makes a seemingly difficult task easy. The container is BPA free and the stainless-steel front gives this device a sleek design. It is easy to operate and makes a healthy meal in no time. My sister loves making homemade hot buttered popcorn. It is the perfect snack. This stovetop popcorn with metal gears for stirring, the kernels fits easily into a cupboard when not in use. The benefits of this popper are its larger size and portability. This popper requires no electricity as it works on a stovetop. While this popper has a smaller capacity than the stirring popper, it is fully automated. Just put the kernels in and it makes popcorn for you in minutes. The bonus of this popper is definitely its built-in butter melter which distributes butter evenly over the popcorn as it pops. I always start my day with a hot cup of coffee. This digital, automatic drip coffee maker makes 14 cups of coffee at a time. It uses thermal technology to give you a hotter cup of coffee without sacrificing flavor. You can set the automatic timer on the backlit LCD screen to brew right before you wake up. It even has an indicator to tell you when to decalcify your machine. A more experienced coffee lover may prefer the bolder flavors of espresso. The Bialetti Moka Express is an Italian-made coffee maker that can brew delicious espresso on your stovetop in just five minutes. It is made of aluminum making it lightweight and portable. It is easy to disassemble and clean though it is not dishwasher safe. If your sister is a sushi fanatic, I guarantee she will appreciate this deluxe sushi making kit. It is jam-packed with everything you need to make perfect sushi rolls every time. This 11-piece kit is BPA free and dishwasher safe, and it comes with a lifetime warranty. It includes a sushi mat and high-quality sushi knife. You can even make heart-shaped sushi rolls! This combination of eye mask and headphones are perfect for regular travelers. The comfortable material includes magnetic therapy and allows you to sleep comfortably anywhere. Whether you need to rest on a plane trip, or just want to block out the light when you sleep at home, this mask will play whatever music you'd like with the headphone jack to connect to your phone or mp3 device. While this is an expensive comforter, it is a perfect gift for a housewarming party. You can control the temperature of this blanket on two sides so you and your partner can both sleep comfortably. The BedJet includes a king-sized comforter with wireless remotes. It also includes a free Bluetooth app so you can control the temperature of the comforter from your phone. Your sister can enjoy a restful night's sleep with this stay-cool gel pillow. The pillow is designed to move heat away from your body and uses ConstantCool technology to keep you comfortable all night. The SureTemp memory foam core maintains its shape for ideal sleep positions. Like the Fitbit but much smaller, these fitness rings track your sleep patterns and heart rate throughout the day. These rings boast a 3-day battery life and work with both Apple Health and Google Fit. This ring is waterproof and tracks your steps, distance, heart rate, activity, calories burned and sleep, all in a sleek micro design. Keep your sister safe with this affordable personal panic alarm. This alarm works for people of all ages and has a 130db sound that can be heard up to 1000 feet away and will attract attention in any unsafe situations. The convenient carabiner allows you to keep this on your keys or bag and the built-in flashlight will keep you safe at night. Like the personal panic alarm, this device can keep your sister safe in dangerous situations. The 10% OC pepper formula is an all-natural substance so you don't have to worry about any unsafe chemicals and it sprays in a cone pattern at a distance of up to five feet. It has a compact design that fits easily in your hand and will work up to six times. Keep your sister safe from any personal attacks with this mini stun gun. The 20-million-volt stun gun comes with a black purse wallet holder for easy carry and is easy to use with a small button on the side. You can rest easy knowing that your sister will be safer with this portable safety device. For someone who has always wanted an herb garden but lives in an apartment or has little space to garden, there is the AeroGarden seed pod kit. It's a great addition for a kitchen countertop. Because it works indoors you can grow herbs all year long. The device has a 30-watt LED lighting system designed to maximize photosynthesis for your plants. It comes with basil, mint, thyme, parsley, chives and dill. For a sister who loves listening to music, even in the shower, this waterproof Bluetooth speaker has a suction cup to cling to the wall in the shower. A built-in microphone even allows you to answer calls in the shower. It is compatible with Android and iPhone though it also works with mp3 players, iPods, and any other Bluetooth enabled device. I have used a Roomba for years and now I couldn't live without it! This design is specially designed for pet hair clean-up which is perfect if your sister has cats or dogs. You can control this vacuum with your smartphone or Alexa. It can conveniently switch from hard flooring to carpeting and has patented Dirt Detect sensors that allow the vacuum to work harder on areas concentrated with dirt. Works up to 6 times.